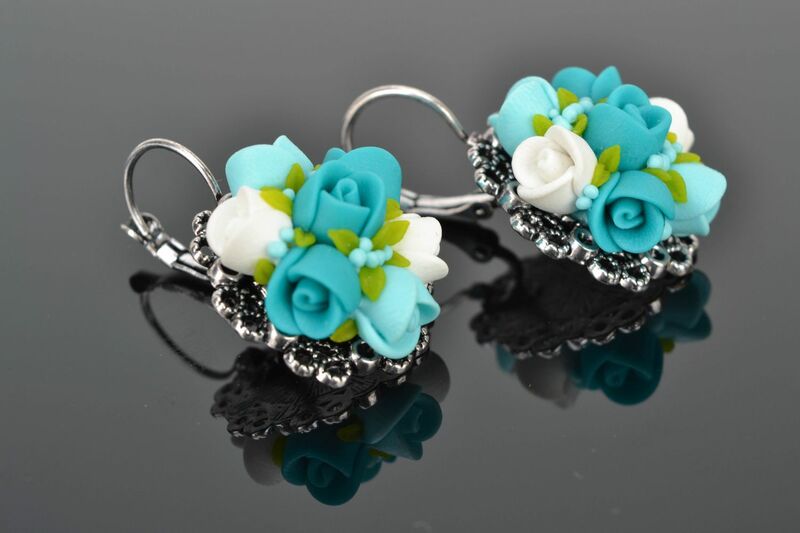 These handmade earrings are decorated with charming bouquets of roses created of polymer clay. 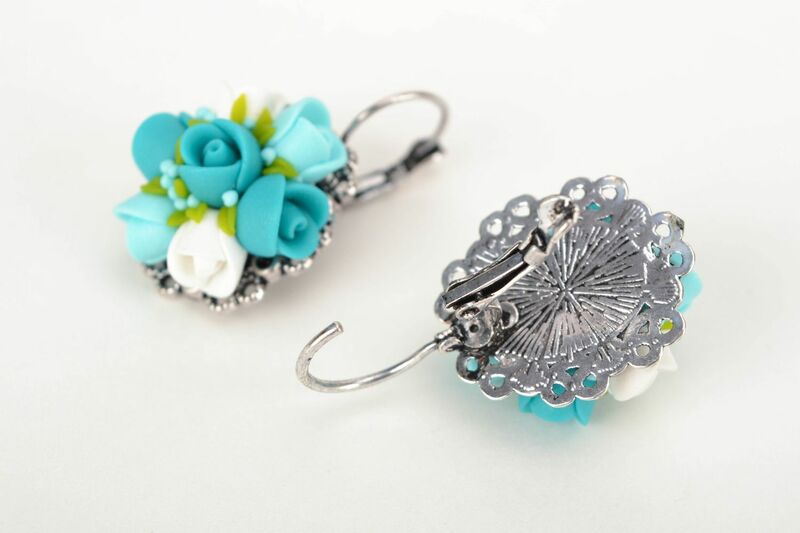 The product is equipped with metal fittings. 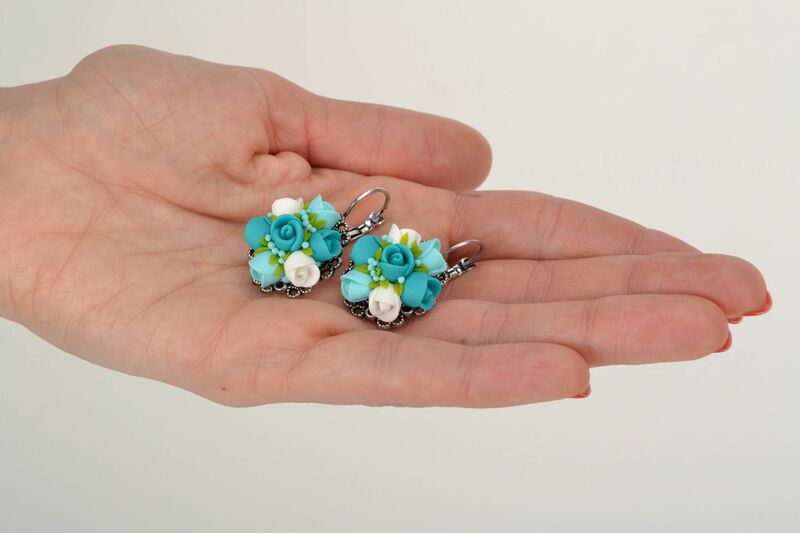 These lace handmade earrings look gentle and elegant. 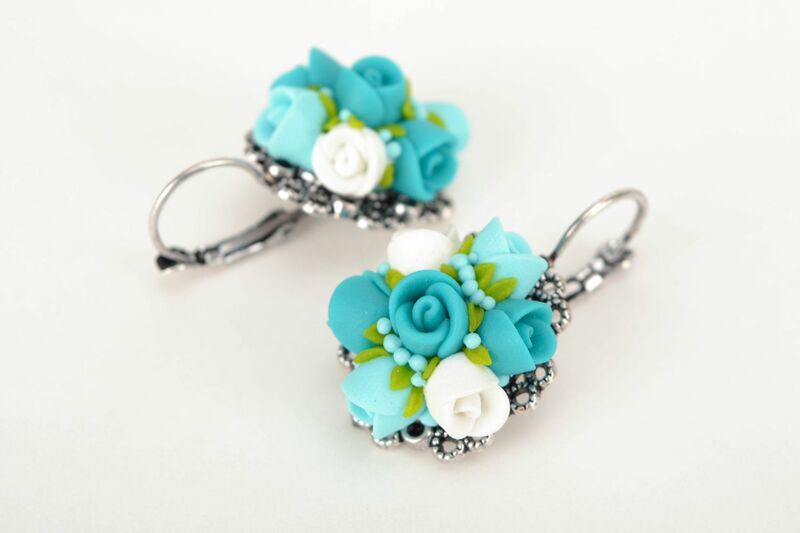 They will be a wonderful complement to any dress. Avoid contact of the product with moisture.